Hamilton-Ryker® is a provider of Total Workforce Solutions for industrial, administrative, and information technology staffing, and recruitment. We are headquartered in Tennessee with thirty-five locations across the U.S. Since 1971, we have constantly and continuously worked to discover new and better ways to bring comprehensive services to employers and rewarding jobs to skilled professionals. We’re an American Success Story. In 1971, two friends came together to create a business. One was a farmer, the other a life insurance salesman. They had seen staffing firms in St. Louis and Memphis, but no one was offering these services in the small towns of West Tennessee. Wayne McCreight opened West Tennessee Personnel Agency in Martin, TN and Crawford Gallimore joined him a year later. 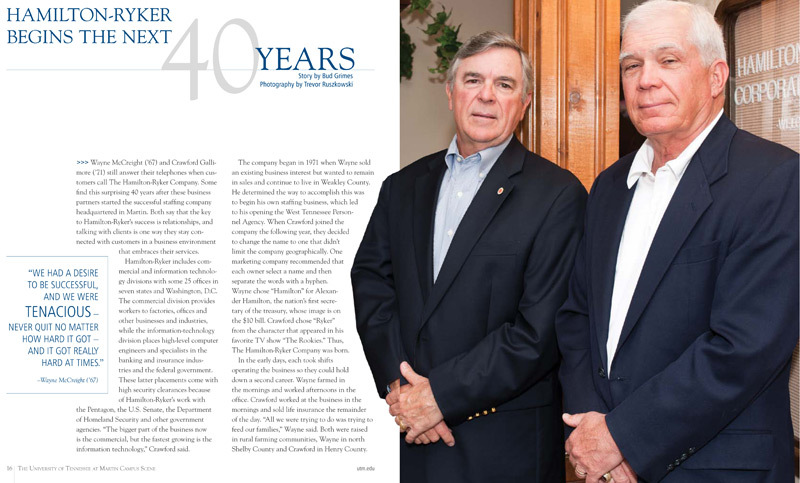 Wayne and Crawford believed that relationships are the key to business success, and since day one customer relationships have been at heart of what we do. We’re one of the largest employee-owned staffing organization in the country. Over the years, we have grown to become one of the largest independently owned staffing firms in the United States. We are an Inavero Best of Staffing award winner, and we have received the Safety Standard of Excellence awarded by the American Staffing Association and the National Safety Council. And since becoming employee owned in 2012, we have more than doubled in size and greatly expanded our technology, consulting, and talent management services. Find out what a difference Total Workforce Solutions can mean for your business. Is Your Business Ready for the Artificial Intelligence Boom?